India currently has 32 sites protected on the UNESCO World Heritage list and a further 46 submitted on the tentative list. While it’s not possible to visit all in one trip to the sub-continent, it certainly is a great incentive to keep coming back. I thought it would be good to take a closer look at the protected sites. So over the next few posts I’ll walk you through all of them by region. In this first post we’ll start at the bottom of the country in the South. 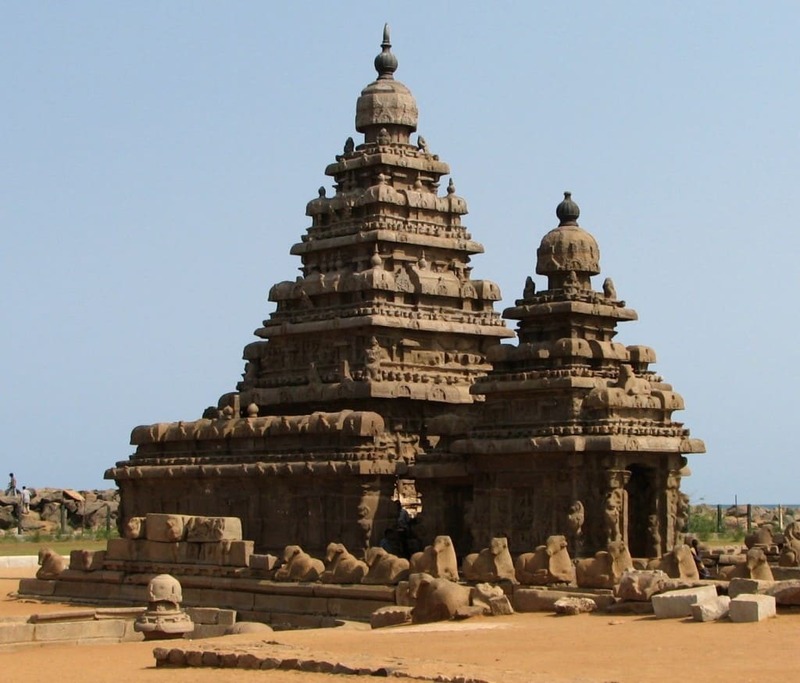 No visit to the south of the country is complete without seeing at least one of the magnificent Chola Temples. Each built in the 11th and 12th centuries, the three temples are the Brihadisvara Temple in Thanjavur, the Brihadisvara Temple in Gangaikondacholisvaram and the Airavatesvara Temple in Darasuram. The Cholas dominated southern India for centuries and their temples display their artistic skill, their architectural brilliance and their supreme devotion. 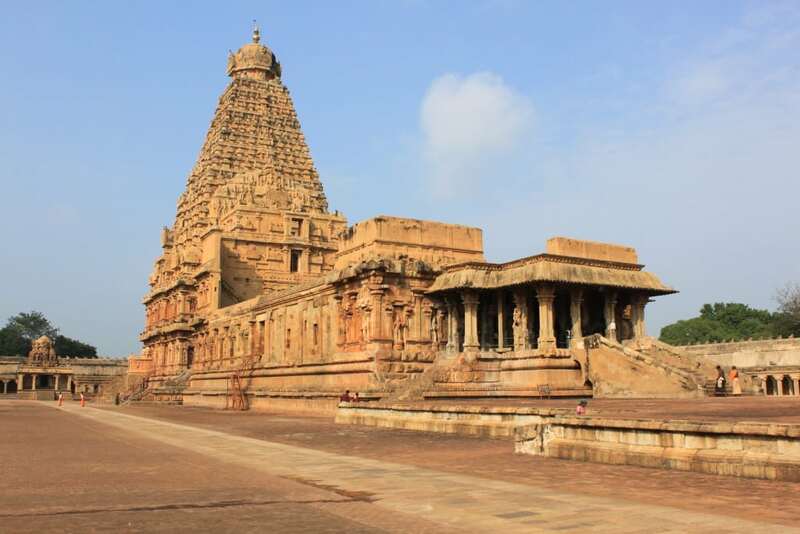 While all of the temples are worth visiting, if you really only have time for one then I’d recommend visiting Thanjavur where the Brihadisvara Temple is believed to be the greatest of the Chola’s achievements. While many think of the lovely Shore Temple of Mamallapuram (also known as Mahabalipuram), this is only one of the many splendors that is nestled amidst this relaxed beachside town. Created by the Pallava dynasty in the 7th and 8th centuries, Mahabalipuram offers you the chance to see the four different types of rock temples in close proximity. There are several rock-cut cave temples that depict some glorious scenes from mythology scattered throughout the main site. Nearby in another complex are the Five Rathas that are monolithic temples (meaning they were carved from a single piece of rock). They represent the 5 Pandava brothers from the epic Ramayana story. Then there is the breathtaking bas relief called Arjuna’s Penance that is believed to be one of the largest of its kind in the world. Finally the free standing Shore Temple that sits so close to the water with its three perfect peaks, although rumor has it that up to four more lie under the water. While there’s a lot to see in Mahabalipuram it’s easy to see all of the main sites in a pleasant day, and the town makes for a good stopping point, or a day trip from Chennai or Pondicherry. 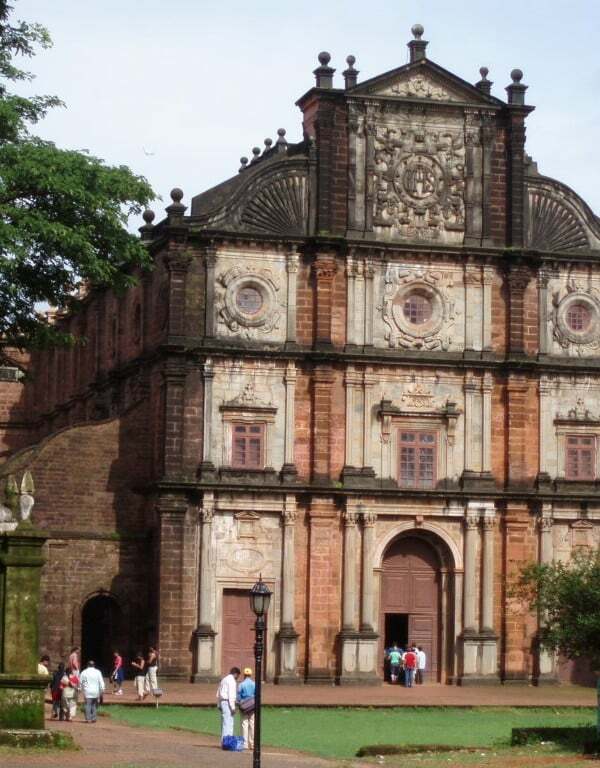 The old Portuguese colony of Goa is well known for its splendid beaches but it is its beautiful architecture that captures your memory. 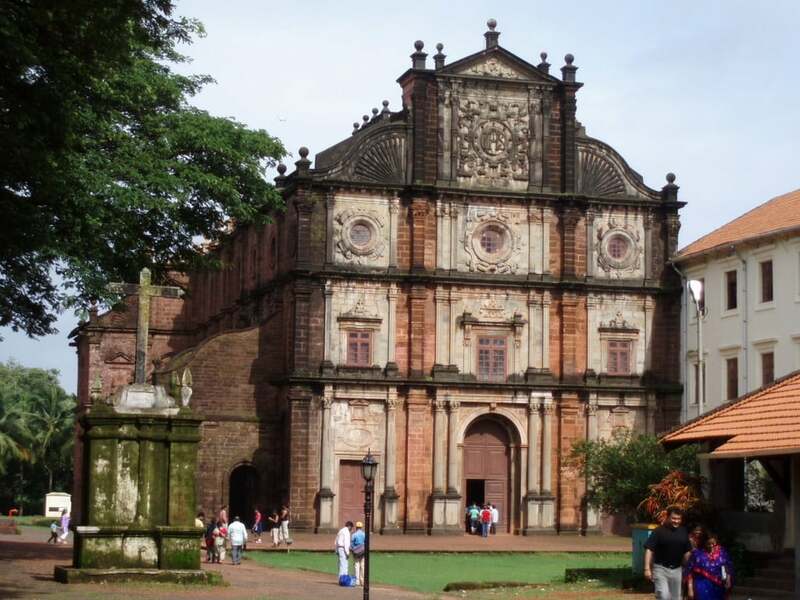 Spread throughout Old Goa there are several churches and convents that are protected, but the most memorable is the Church of Bom Jesus that is also where St Francis-Xavier was laid to rest. The architecture includes some fine examples of Baroque, Manueline and Mannerist art, and is credited with spreading these styles throughout Asia.